There are few things more satisfying than getting cozy indoors with a hot cocktail. 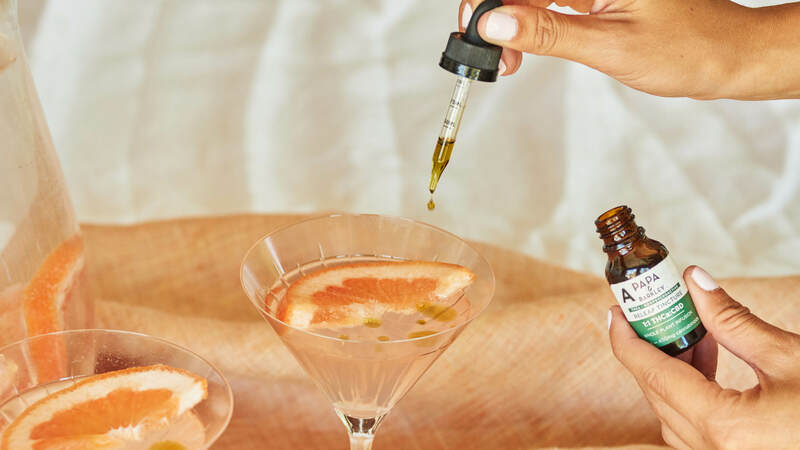 Next time you’re craving a toasty concoction, consider substituting booze with a little bit of CBD—the cannabinoid that doesn’t have any psychoactive effects that will leave you feeling “high,” but can ease pain, anxiety and even help promote sleep—in your beverage. The extract of the cannabis plant also doesn’t have the same adverse possible consequences of overdoing booze, and CBD is being experimented with by some of the most exciting restaurants and bars across the country. We talked to a notable mixologist about his own CBD consumable offerings and his recipe ideas for cannabidiol-laced non alcoholic cocktails. Grön, based in Portland, Oregon, brings a chocolate confectioner’s level of discernment to decadent edibles. In 2018, the company expanded to include its Grön CBD Café, a rare fully licensed venue serving cannabidiol-infused food and beverages from chocolate croissants to lattes. In a heavy-bottomed small saucepan over medium/low heat, heat the heavy cream until small bubbles appear around the edges. Do not allow the mixture to boil. Meanwhile, chop the chocolate bar into small pieces. Remove saucepan from the heat and stir in the chopped chocolate plus salt and vanilla until melted, returning the sauce to very low heat if needed for the chocolate to melt completely. Whisk briskly or use immersion blender to thicken to desired consistency. Serve warm, topped with lots of whipped cream. *For a vegan option, substitute coconut cream for heavy cream/whipped cream. Lower-fat products such as oat or almond milk will work as well, but won’t have the same level of richness.